GHS DDS325 Doyle Dykes Set 011,5/054 "Guitar strings are not merely an accessory, but a vital part of the instrument. GHS has been my choice for years. I'm proud to say the DDS325 set is the perfect match for my steel string acoustic guitars. For years now GHS has made custom sets for me, in both steel and nylon. I'm so delighted that they have decided to make them available to you." 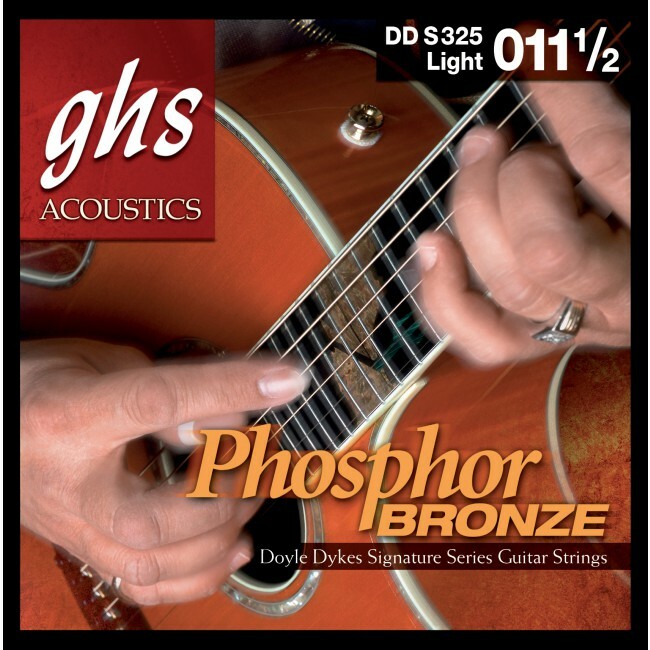 - Doyle Dykes GHS Phosphor Bronze Acoustic Guitar Strings feature a special, double alloy of copper, tin and phosphor wound over a hex core. This combination delivers a long-lasting, rich, bright tone. The core to cover ratio gives increased brightness and flexibility without harsh overtones.